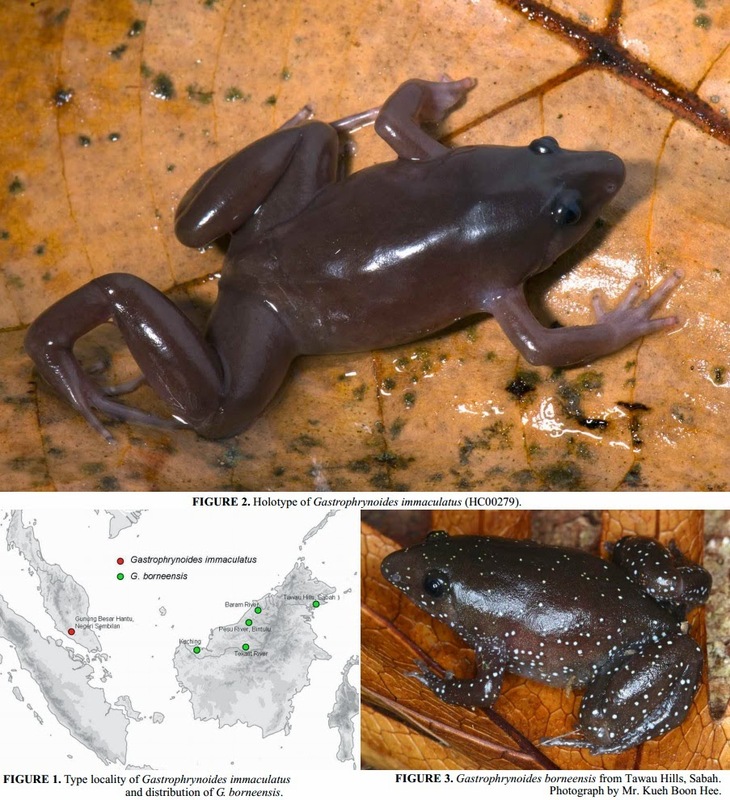 A new species of microhylid frog of the genus Gastrophrynoides is described from Gunung Besar Hantu, in the state of Negeri Sembilan, adding a new generic record to the family Microhylidae of Peninsular Malaysia and an additional species to the previously monotypic genus Gastrophrynoides. This new species can be distinguished from its only congener, G. borneensis by having an immaculate, grayish brown dorsum (instead of a spotted one); a longer snout (2.6–3.0 vs. 2.0–2.5 times diameter of eye); and a single, large, oval outer metacarpal tubercle beneath the hand (instead of smaller, paired, rectangular outer metacarpal tubercles in G. borneensis). Comparisons. Gastrophrynoides immaculatus is distinguished from G. borneensis in having an immaculate, grayish brown dorsum as opposed to a spotted dorsum (Figure 2,3); a longer snout (2.6–3.0 vs. 2.0–2.5 times diameter of eye); and a single, large, oval, outer metacarpal tubercle beneath the hand (vs. smaller, paired, rectangular outer metacarpal tubercles in G. borneensis). Etymology. The specific epithet is a latin masculine adjective in reference to the species’ uniformly colored dorsum, which differentiates it from its only congener, G. borneensis. 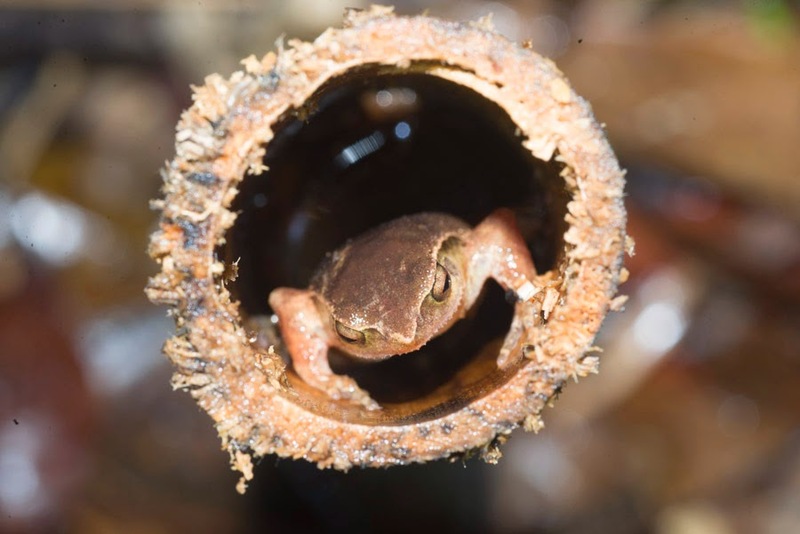 The proposed common name, Tung’s Narrow-mouthed Frog honors Mr. Leong Sung Tung, who discovered this frog and has contributed immensely to the study and knowledge of herpetofauna in Peninsular Malaysia. Natural History. 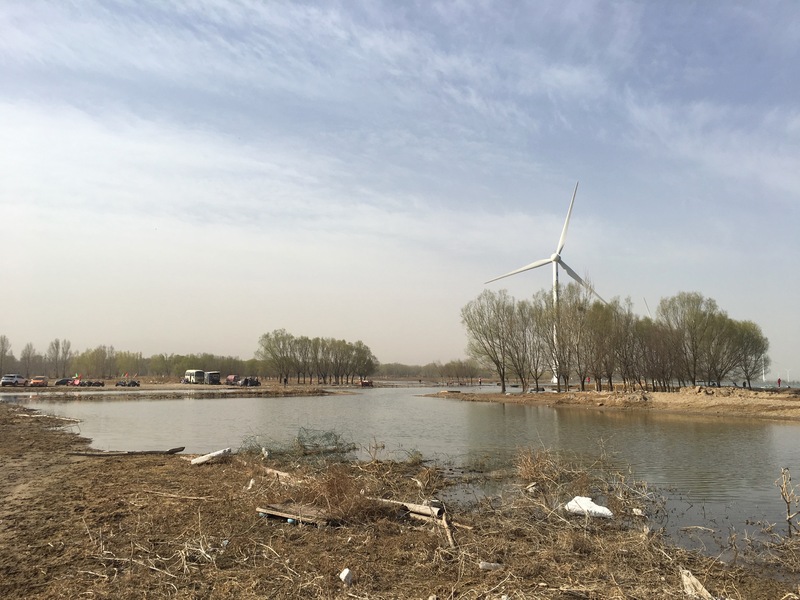 The type series was found between 800–1400 m elevation in water-filled bamboo cuts not more than 1 m above ground. Distribution. Only known from the type locality in Gunung Besar Hantu, Negeri Sembilan (Figure 1). Chan, K.O., Grismer, L.L., Ahmad, N. and Belabut, D. 2009. A New Species of Gastrophrynoides (Anura: Microhylidae): An Addition to a previously Monotypic Genus and A New Genus for Peninsular Malaysia. Zootaxa. 2124: 63–68. 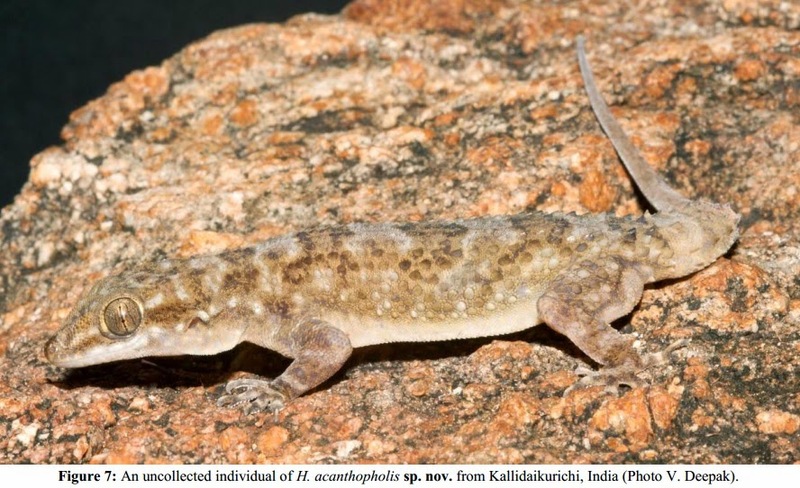 A new species of gecko superficially resembling Hemidactylus maculatus is described from the southern Indian state of Tamil Nadu. Hemidactylus acanthopholis sp. nov. is a large sized Hemidactylus, SVL at least 91.7mm. Dorsal scalation on trunk granular, intermixed with enlarged, fairly regularly arranged longitudinal rows of 18–20 trihedral, moderately keeled, striated tubercles of equal size on dorso-lateral aspect, 2–3 rows of tubercles on mid-dorsal smaller in size, approximately two dorsal granular scales wide. Two large rounded and one small internasal between nasals. Two pairs of postmentals, anterior pair is twice as long and wide as the posterior pair. Scales on ventral trunk arranged in 35–40 rows. Lamellae divided, 9, 11, 10, 10, 10 on manus, and 10, 12, 12, 12, 12 on pes respectively on digits I–V. Caudal pholidosis on dorsal aspect, consist of small, striated scales intermixed with large rounded un-keeled tubercles, scales sub-equal throughout and a series of large eight enlarged, moderately keeled and weakly striated and flattened tubercles in a whorl on each caudal segment. Femoral pores, 19–21 on each side separated medially by 13–14 pore-less scales. FIG. 3.—Captive A) Macroscelides micus (CAS MAM 29699; JPD photo) and B) M. ﬂavicaudatus (CAS MAM 29696; JPD photo), illustrating the diagnostic features of the former: ears that appear pink due to the absence of dark skin pigment; swollen base of tail due to the large subcaudal gland; and rusty pelage of face, dorsum, and tail. — Typical habitat of M. micus (650 m elevation) on the lower slope of an outcrop at the southern edge of the Awahab Outliers, about 28 km south of the Huab River in northwestern Namibia. The Sherman trap, just beyond the welwitschia plant in the foreground, is where M. micus was captured, and a M. ﬂavicaudatus was captured about 150 m lower on the slope, beyond the trap bag. While studying the systematics and taxonomy of round-eared sengis (genus Macroscelides), we identiﬁed an unusual specimen from remote northwestern Namibia in the collection of the California Academy of Sciences. 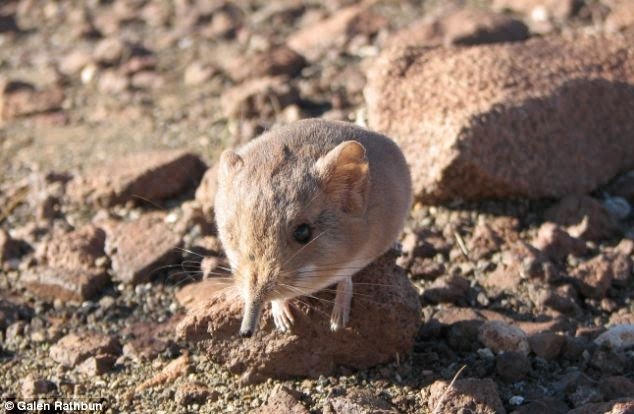 To determine if this represented a different species, we made 9 collecting trips with 5,616 trap-nights of effort that produced 16 voucher specimens (including the original specimen) of the unusual sengi. These specimens are distinguished from other Macroscelides species by morphological metrics (they are smaller), external features (rusty-tinged pelage, large subcaudal gland, and lack of dark skin pigment), and by divergence at 3 independently segregating DNA loci. These traits are the basis for the description of a new species of Macroscelidesthat seems to be conﬁned to gravel plains associated with the distinctive reddish colored Etendeka geological formation of northwestern Namibia. 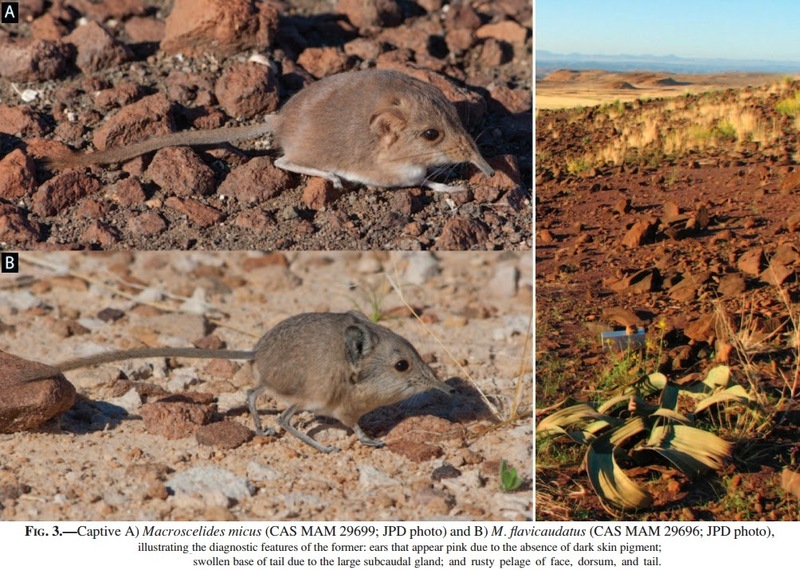 The new species appears to be reproductively isolated from congeners, because portions of its distribution are sympatric with that of the Namib round-eared sengi (M. ﬂavicaudatus), and we found no evidence of hybrid individuals or gene ﬂow. 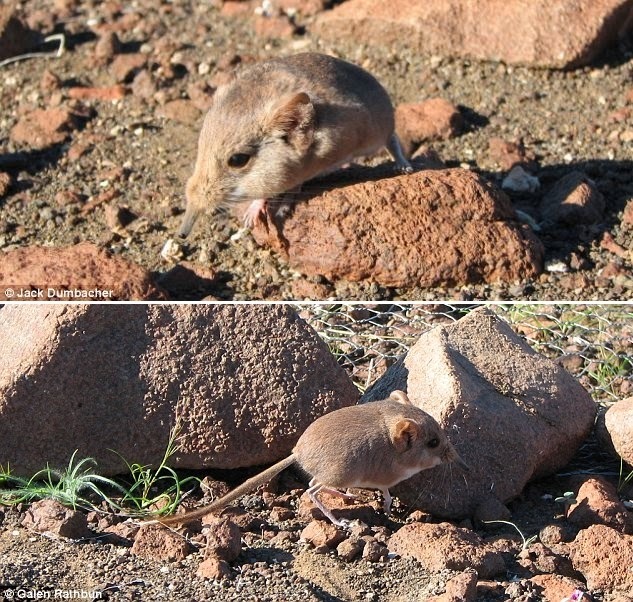 The new species is allopatric with the Karoo round-eared sengi (M. proboscideus), which is found about 500 km to the south. The new species, along with M. ﬂavicaudatus, is endemic to Namibia. With this 3rd species in the genus, there are now 19 recognized extant species in the order Macroscelidea. 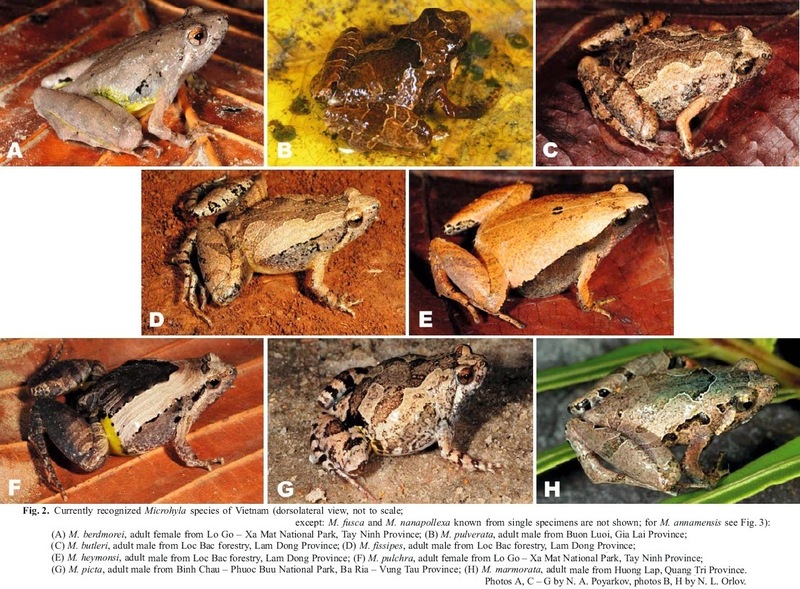 We review the taxonomy and distribution of Microhyla Tschudi, 1838 (Anura: Microhylidae) species from Vietnam, with a special regional focus on the southern parts of the Annamite mountain range (Kon Tum and Langbian Plateaus, Tay Nguyen highlands) and its foothills. Recent field work in this area revealed specimens of five yet undescribed species, which are differentiated from all congeners by a combination of morphological traits: Microhyla pineticola sp. nov. from Lam Dong and Dak Lak provinces; Microhyla pulchella sp. nov. from Lam Dong Province; Microhyla minuta sp. nov. from Dong Nai Province; Microhyla darevskii sp. nov. from Kon Tum Province; and Microhyla arboricola sp. nov. from Dak Lak and Khanh Hoa provinces. Microhyla annamensis Smith, 1923 is redescribed based on recently collected material. The intrageneric systematic relationships of the new species are discussed. We provide first larval descriptions for four of the new species as well as for Microhyla annamensis Smith 1923. Notes on the breeding ecology and natural history of all above mentioned species are compiled for the first time. With Microhyla minuta sp. nov. and Microhyla arboricola sp. nov. we describe the probably smallest tetrapods currently known from mainland Southeast Asia. The latter species also represents the second record of a phytotelm breeder within the genus Microhyla. A key to the currently known Vietnamese species of Microhyla is provided. Nikolay A. Poyarkov, Jr., Anna B. Vassilieva, Nikolai L. Orlov, Eduard A. Galoyan, Tran Thi Anh Dao, Le Duong Thi Thuy, Valentina D. Kretova and Peter Geissler. 2014. 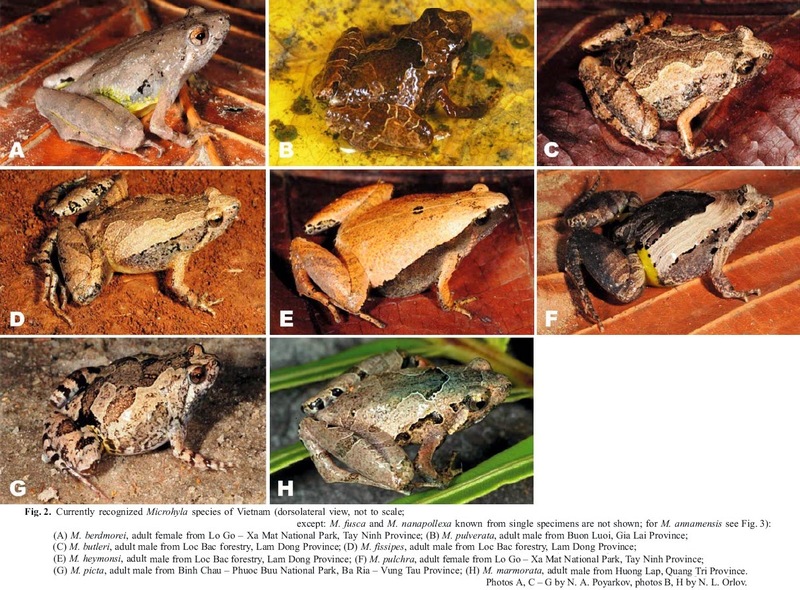 Taxonomy and Distribution of Narrow-Mouth Frogs of the Genus Microhyla Tschudi, 1838 (Anura: Microhylidae) from Vietnam with Descriptions of Five New Species. Russian Journal of Herpetology. 21(2):89–148. 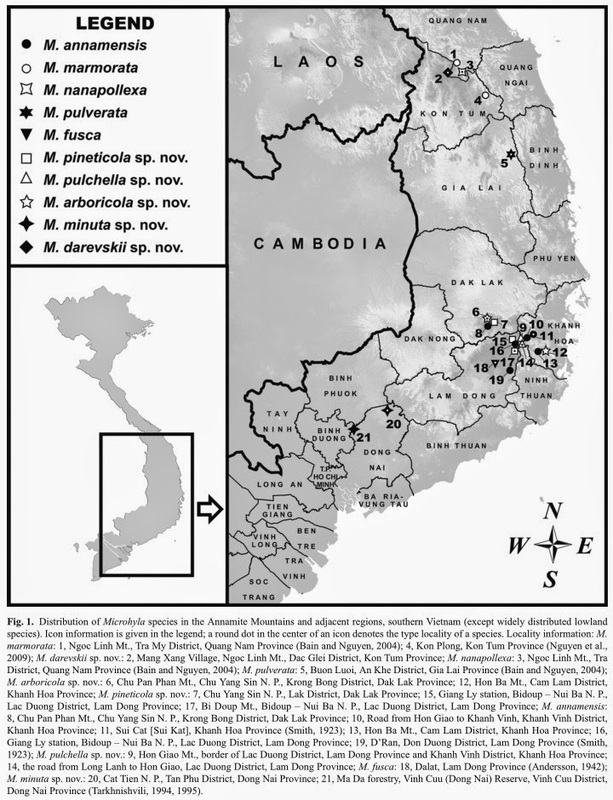 We describe two new mountain-dwelling microhylid species of the genus Kalophrynus from the southern part of the Annamite Mountains in Vietnam. The two new species differ from all known congeners in morphological characters and mtDNA; phylogenetically, they form a sister clade to the large-bodied K. interlineatus (1009 bp, 16S rRNA gene, mtDNA). Both species share the following characteristics: snout pointed in dorsal and lateral views, slightly sloping in profile; tympanum distinct, smaller than eye in diameter; toe webbing moderate; outer metatarsal tubercle present; light dorsolateral line absent. Kalophrynus cryptophonus sp. 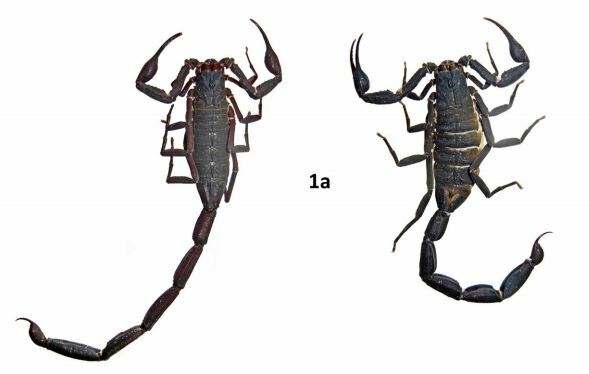 nov. from Loc Bao, Lam Dong Province is a small-sized species distinguishing from its congeners by a combination of: SVL 27.9–30.4 mm in males, 23.4 mm in female; canthus rostralis indistinct; males with large sharp conical spines on the skin covering mandible margins and finely asperous nuptial pads on the dorsal surface of fingers I–III; dark ocelli in the inguinal region usually present, small, without a light border; anterior palatal dermal ridge short, restricted to medial part of palate. Kalophrynus honbaensis sp. 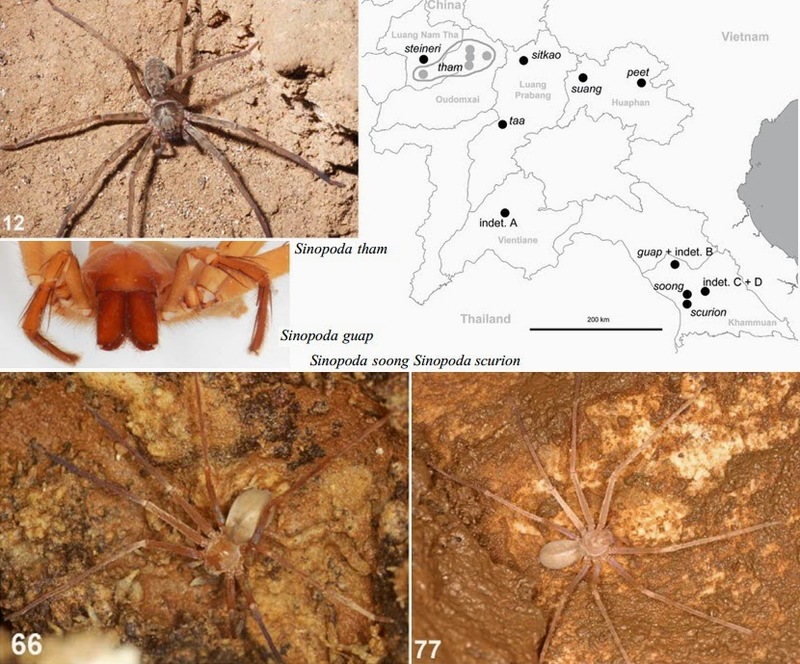 nov. from Hon Ba, Khanh Hoa Province is a medium-sized Kalophrynus, distinguishing from its congeners by a combination of: SVL 26.7–36.8 mm in males; canthus rostralis distinct; males without distinguishable spines on the mandible margins nor the nuptial pads; dark ocelli in the inguinal region present, large, without a distinct light border, anterior palatal dermal ridge developed, parallel to posterior one. Kalophrynus cryptophonus sp. nov. reproduces in hollow bamboo stems; we describe larval morphology and bioacoustics of this species in relation to phytotelm breeding. 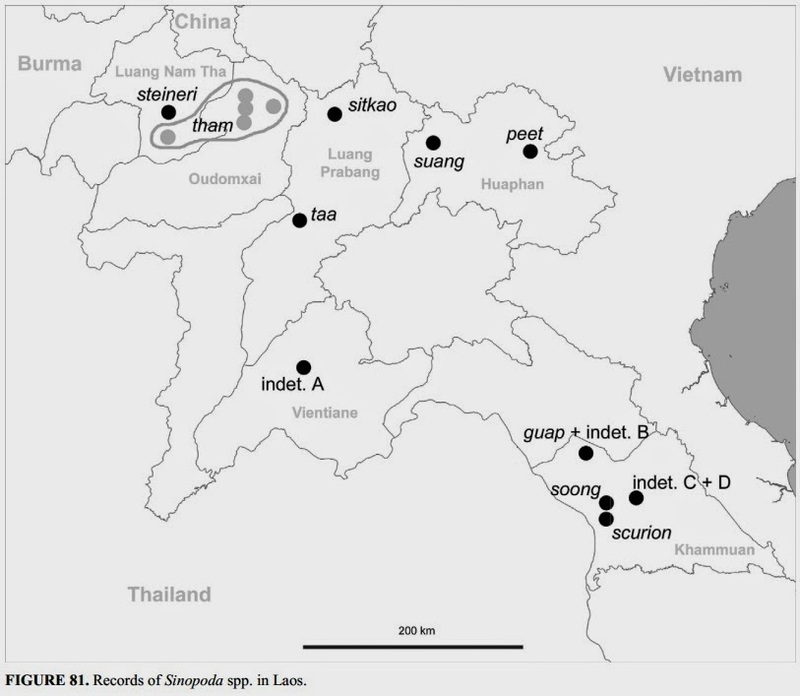 A review of the distribution of the genus Kalophrynus in Indochina is provided. Key words: Indochina, taxonomy, 16S rRNA, advertisement call, tadpole, phytotelm breeding, Kalophrynus cryptophonus sp. nov., Kalophrynus honbaensis sp. nov.
Vassilieva, Anna B., Svetlana S. Gogoleva & Nikolay A. J. Poyarkov. 2014. Two New Species of Kalophrynus Tschudi, 1838 (Anura: Microhylidae) from the Annamite Mountains in southern Vietnam. Zootaxa. 3796(3): 401–434. 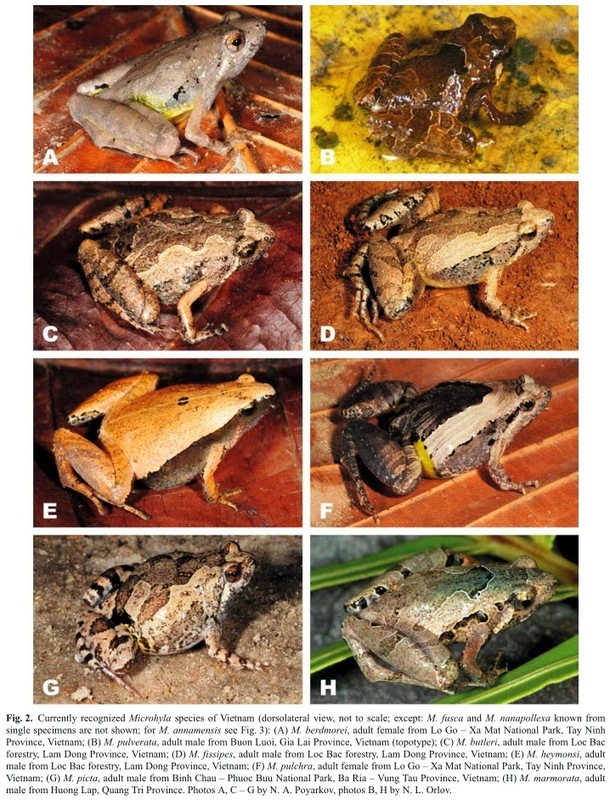 A new species of stream toad of the genus Ansonia is described from Gunung Murud, Pulong Tau National Park, of northern Sarawak, Malaysia, Borneo. Ansonia vidua, sp. nov., is morphologically distinguished from its Bornean congeners by the following combination of characters: medium size (SVL of adult females 33.5–34.4 mm); body uniformly black-brown in life; absence of a visible pattern on dorsum or limbs; presence of two low interorbital ridges; shagreened skin on dorsum, sides and upper surfaces of the limbs with numerous homogeneously small, rounded warts; first finger shorter than second; reduced webbing between the toes and an absence of a sharp tarsal ridge. 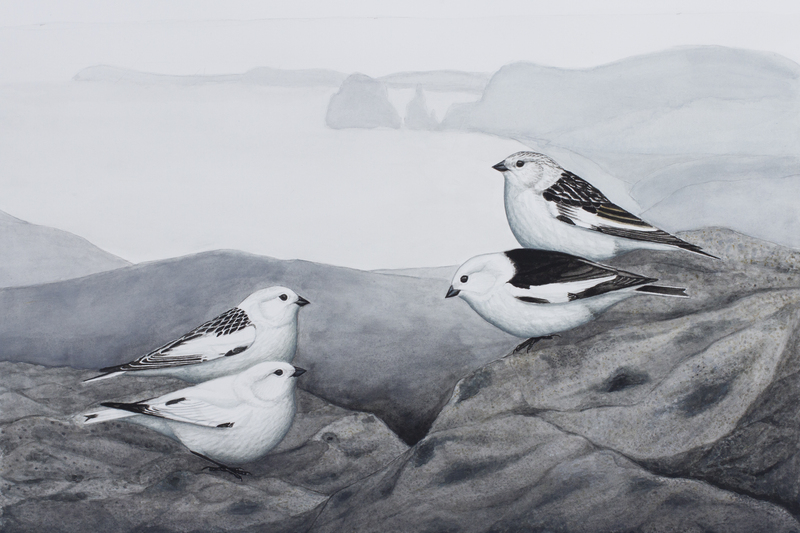 Uncorrected genetic distances between related taxa of > 4.3% in 16S rRNA gene support its status as a hitherto undescribed species. Etymology. The species name vidua means ´widow´ and refers to the uniform brownish-black colouration in life of this species, which is traditionally the colour of choice by widows. We suggest the English vernacular name ‘Murud Black Slender Toad’ for the species. Ecological notes: The type locality is situated between this unnamed small side stream [the edge of the summit trail to Gunung Murud, Pulong Tau National Park] and the Sugei Murud that runs eastward from near the summit of Gunung Murud down to the plateau of the Kelabit Highlands. The type locality is situated just below the summit ridge of the Gunung Murud massif. In this undisturbed montane mossy forest (Beaman 1999; Beaman & Anderson 1997; Mjöberg 1925), the following species of frogs have been recorded in sympatry: Limnonectes cf. kuhlii, Philautus mjobergi, P. cf. petersi, Pelophryne murudensis and Leptobrachium montanum. 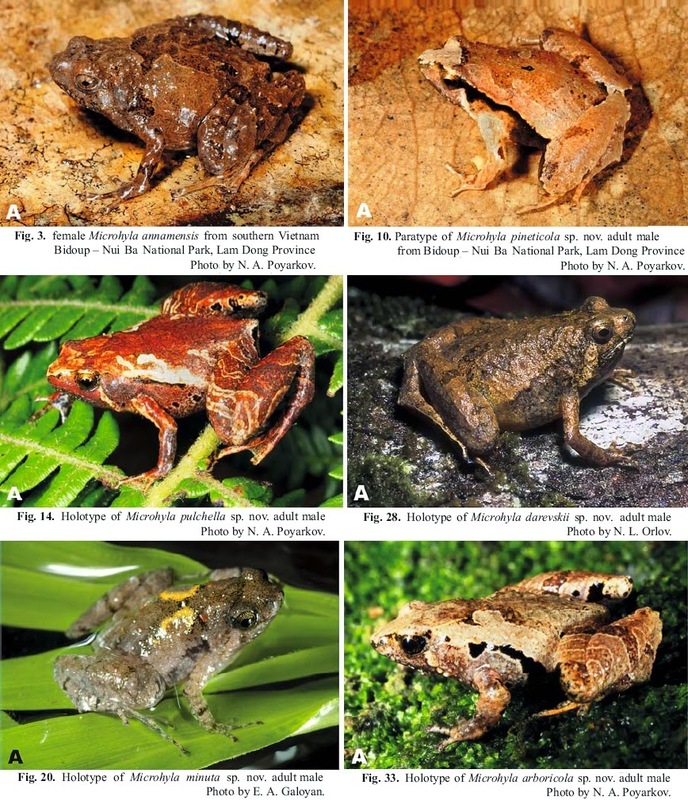 The amphibian fauna of Gunung Murud has been described by Das (2005, 2008). 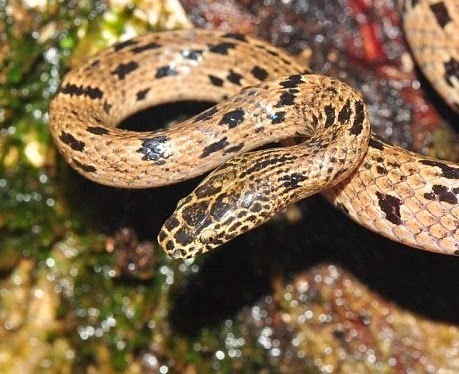 The discovery of a new and possibly endemic species from the Gunung Murud massif underlines the importance of the Pulong Tau National Park in the protection of the highly diverse montane amphibian fauna of Sarawak and that of Borneo. Hertwig, Stefan T., Pui Y. Min, Alexander Haas & Indraneil DAS. 2014. Dressed in Black. 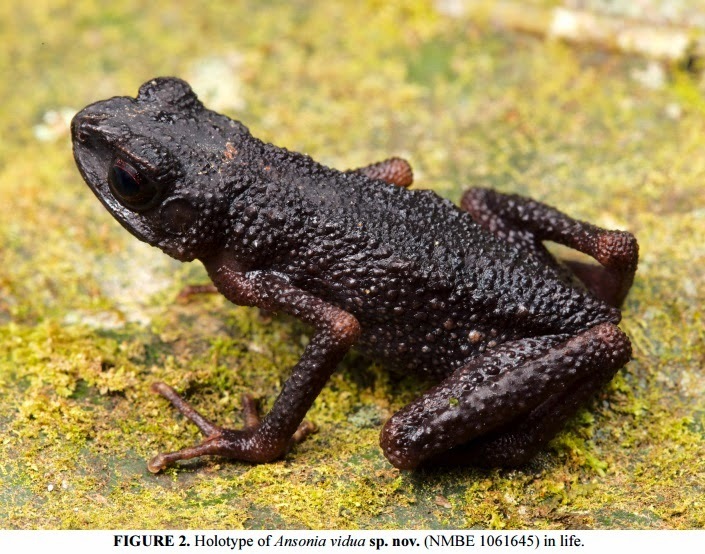 A New Ansonia Stoliczka, 1870 (Lissamphibia: Anura: Bufonidae) from Gunung Murud, Sarawak, East Malaysia (Borneo). Zootaxa. 3814(3): 419–431. 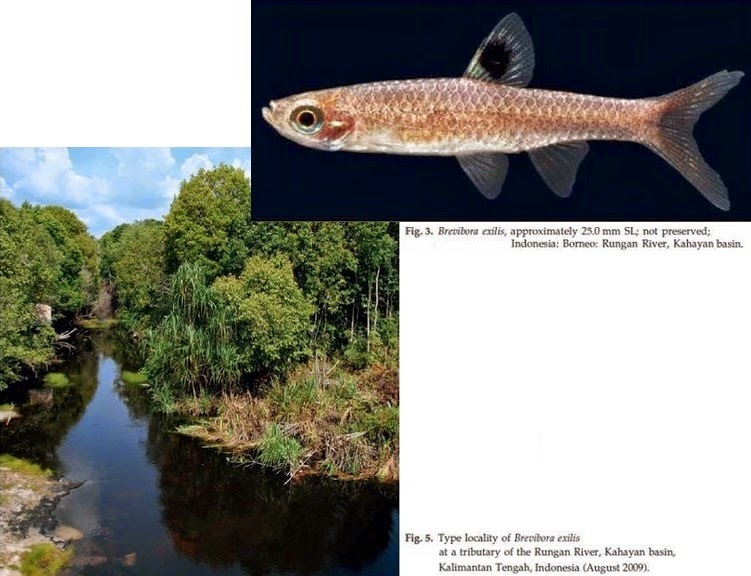 Brevibora exilis, new species, is described from the Kahayan and Sebangau basins, Kalimantan Tengah, Borneo, Indonesia. It is distinguished from its congeners, B. cheeya and B. dorsiocellata, by 10 circumpeduncular scales (vs. 12), anterior outline of dorsal-fin blotch ranging from 2nd unbranched ray to first four or five branched rays with transparent inter-radial membrane between 1st and 2nd unbranched rays (vs. blotch extending from 1st unbranched ray and inter-radial membrane between 1st and 2nd unbranched rays not hyaline), and relatively more slender body (body depth 19.3-24.7 % SL, vs. 24.4-26.7). 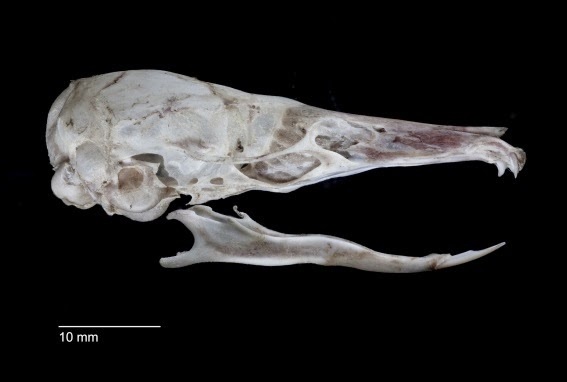 It is further distinguished from B. cheeya by the incomplete lateral line with fewer perforated scales (6-10 vs. 25-30), a shorter head, a smaller caudal peduncular depth, a shorter caudal peduncule, a smaller prepectoral length, and shorter dorsal fin. It is further distinguished from B. dorsiocellata by having more scales along the lateral-line row (28-31 vs. 25-27). Liao, T.-Y. & Tan, H.H. 2014. 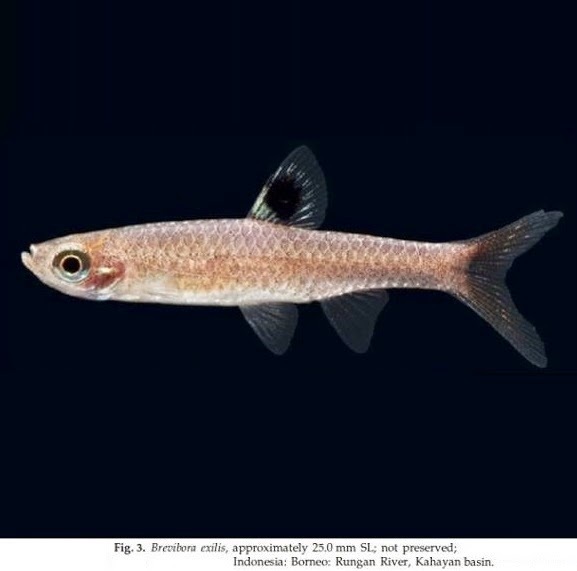 Brevibora exilis, A New rasborin Fish from Borneo (Teleostei: Cyprinidae). 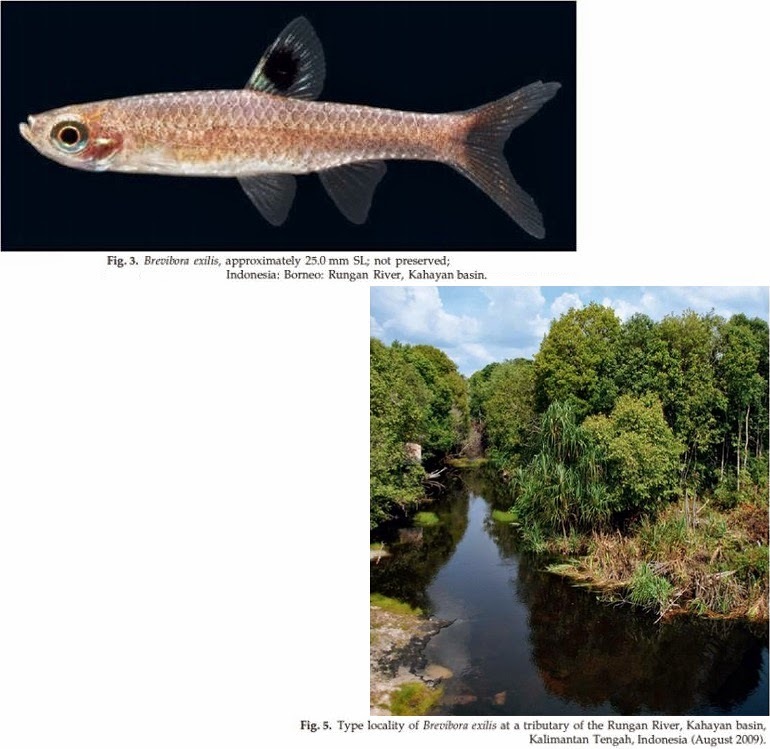 Ichthyological Exploration of Freshwaters, 24(3) : 209-215. 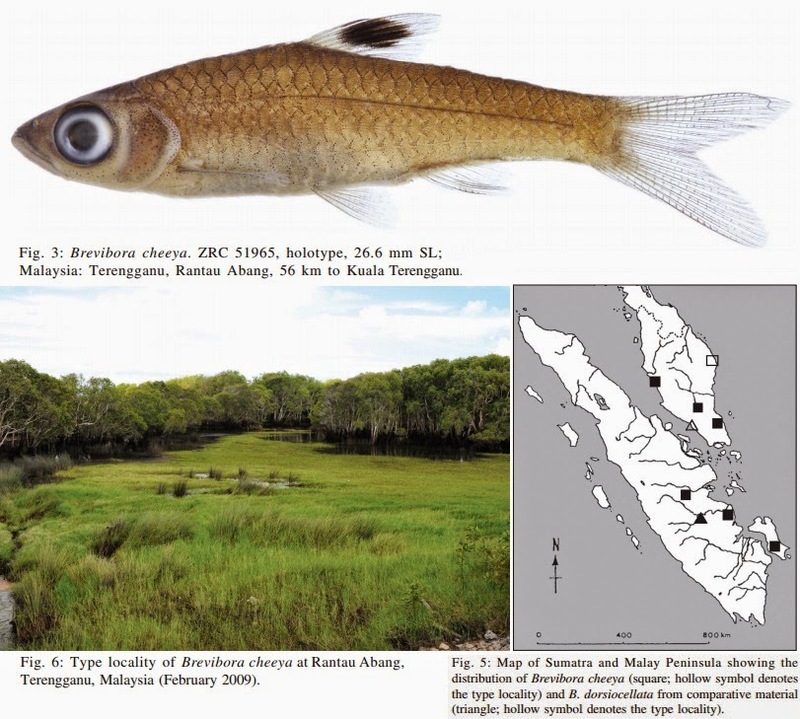 Brevibora cheeya is a new species of cyprinid ﬁsh from the Malay Peninsula and Sumatra. It is distinguished from its only congener, B. dorsiocellata, by the complete lateral line, more scales along the lateral row and larger size. KEY WORDS: Taxonomy, Brevibora cheeya, Brevibora dorsiocellata, Southeast Asia, Biodiversity. Etymology. – Cheeya and Beiya, are two Chinese deities who hunt ghosts for Yama; “chee” and “bei” mean seven and eight, respectively, and “ya” is an honorable title for a respected person. Cheeya is tall and Beiya is short; in allusion to its relatively larger size as compared to B. dorsiocellata. A noun in apposition. Distribution and field notes. 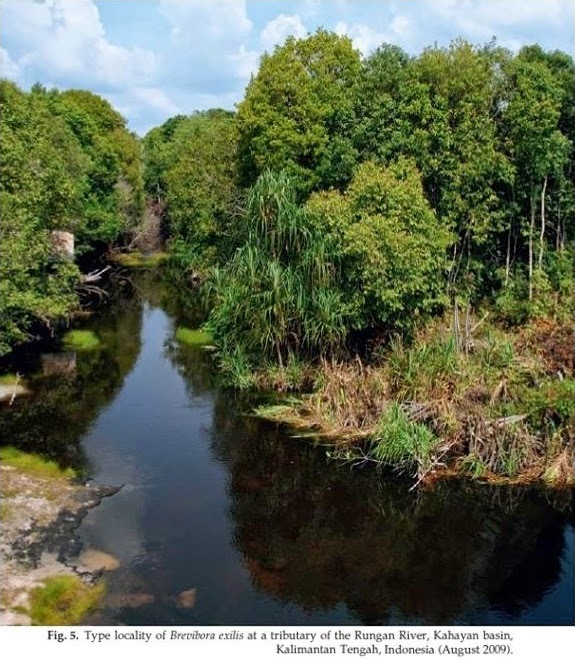 – Brevibora cheeya is distributed both in the westerly and easterly ﬂ owing river basins of Peninsular Malaysia (western: Selangor; eastern: Terengganu, Pahang, Johor), Central Sumatra (Jambi, Riau) and Banka Island (Fig. 5). 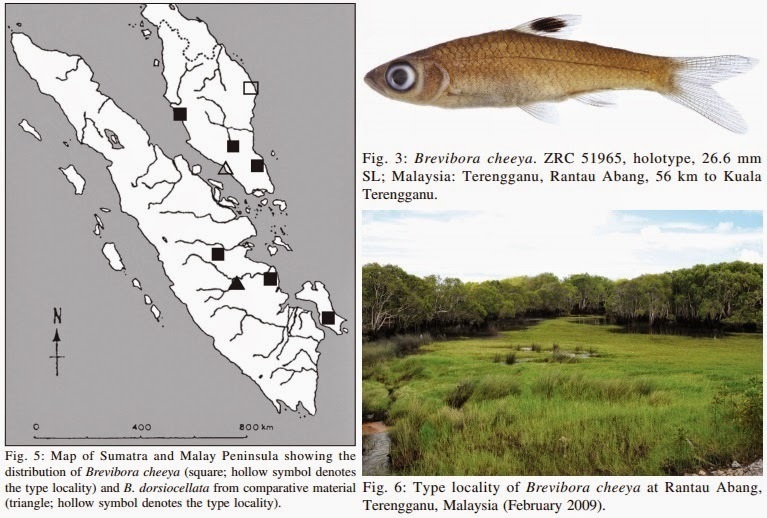 Brevibora dorsiocellata appears to be restricted to the Muar river basin in Malaysia, but this could be due to insufﬁ cient sampling (based on ZRC material and second author pers. obs. ); but occurs in Central Sumatra, where B. cheeya is also present, but seemingly in different sub-basins. The Brevibora dorsiocellata group is also present in Borneo, and will be covered in more detail in future works. (Myrtaceae) stands on sandy and peaty substrate. The waters are tannin stained, slow ﬂ owing, and acidic (pH 4.5, as measured in February 2009). Syntopic species recorded from the type locality include: Boraras maculatus, Cyclocheilichthys apogon, Osteochilus spilurus, Parachela maculicauda, P. oxygastroides, Rasbora einthovenii, R. trilineata, Systomus johorensis, Trigonopoma gracile, T. pauciperforatum (Cyprinidae), Lepidocephalichthys furcatus, Pangio alcoides, P. semicincta (Cobitidae), Kryptopterus macrocephalus, Ompok leiacanthus, Wallago leerii (Siluridae), Hemibagrus nemurus, Pseudomystus leiacanthus (Bagridae), Clarias batrachus, C. meladerma (Clariidae), Parakysis verrucosa (Akysidae), Aplocheilus panchax (Aplocheilidae), Hemirhamphodon pogonognathus (Hemiramphidae), Monopterus albus (Synbranchidae), Nandus nebulosus (Nandidae), Pristolepis grooti (Pristolepididae), Belontia hasseltii, Betta imbellis, B. waseri, Luciocephalus pulcher, Parosphromenus paludicola, Trichopodus leerii, T. trichopterus, Trichopsis vittata (Osphronemidae), Channa bankanensis, C. lucius and C. striata (Channidae) (Kottelat et al., 1992; unpublished data). 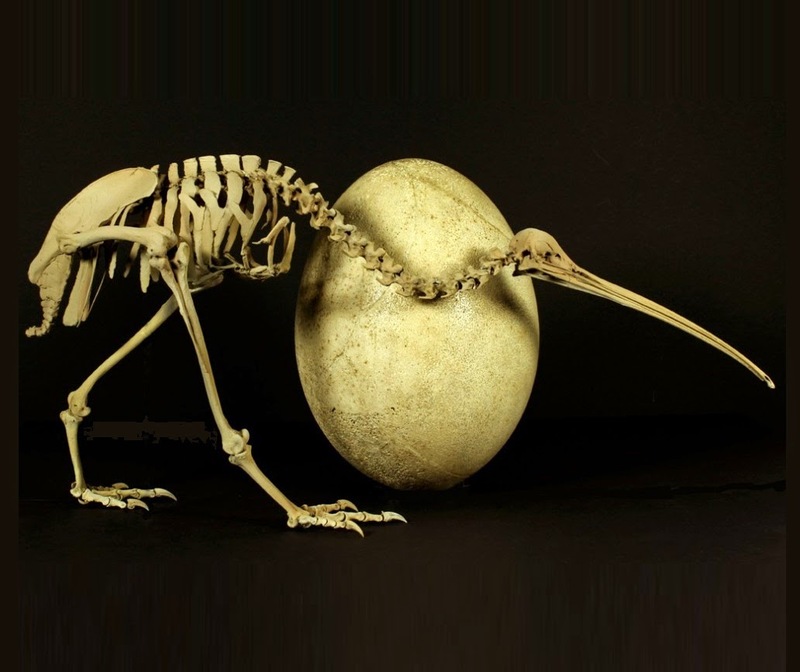 A Kiwi and an Elephant Bird egg. The evolution of the ratite birds has been widely attributed to vicariant speciation, driven by the Cretaceous breakup of the supercontinent Gondwana. 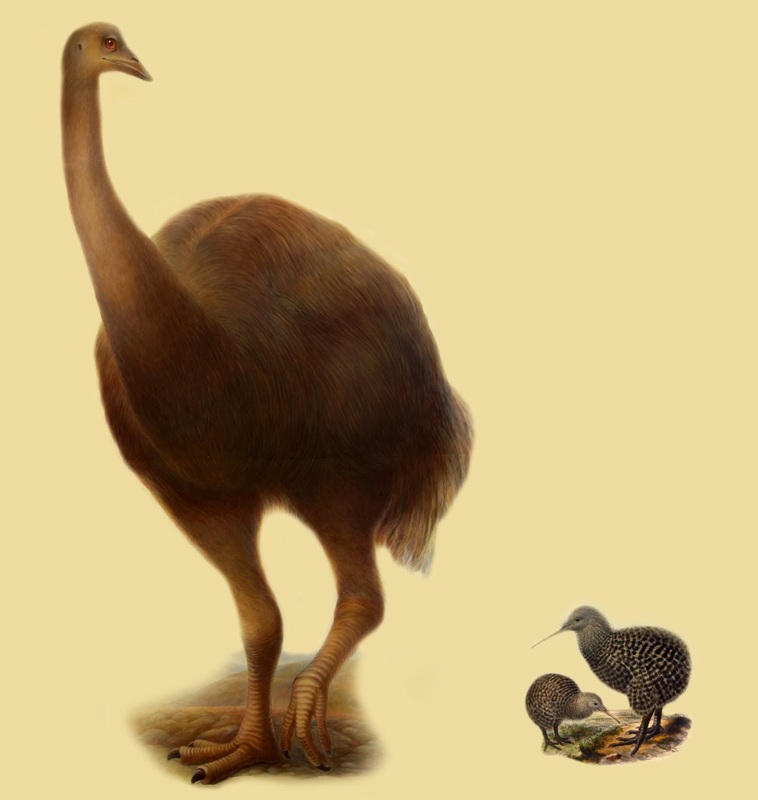 The early isolation of Africa and Madagascar implies that the ostrich and extinct Madagascan elephant birds (Aepyornithidae) should be the oldest ratite lineages. 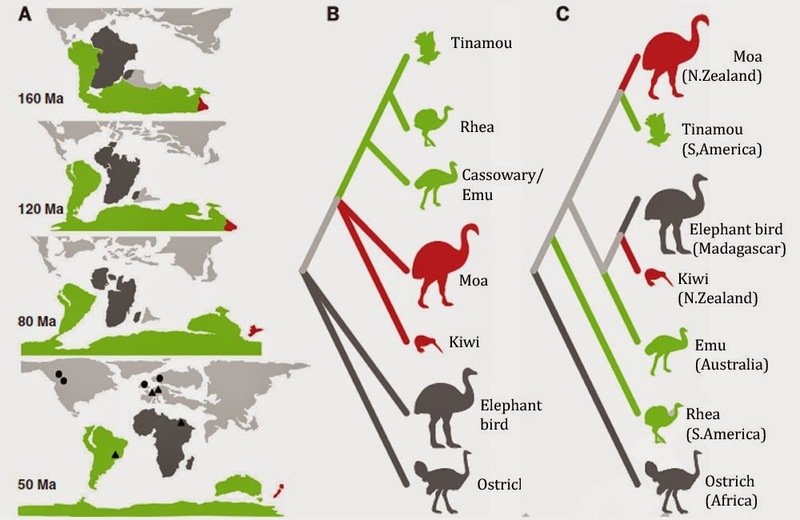 We sequenced the mitochondrial genomes of two elephant birds and performed phylogenetic analyses, which revealed that these birds are the closest relatives of the New Zealand kiwi and are distant from the basal ratite lineage of ostriches. This unexpected result strongly contradicts continental vicariance and instead supports flighted dispersal in all major ratite lineages. We suggest that convergence toward gigantism and flightlessness was facilitated by early Tertiary expansion into the diurnal herbivory niche after the extinction of the dinosaurs. A) The break-up of Gondwana into separate continents. B) The ratite family tree, as you’d predict from the rafting hypothesis. C) The actual ratite family tree. 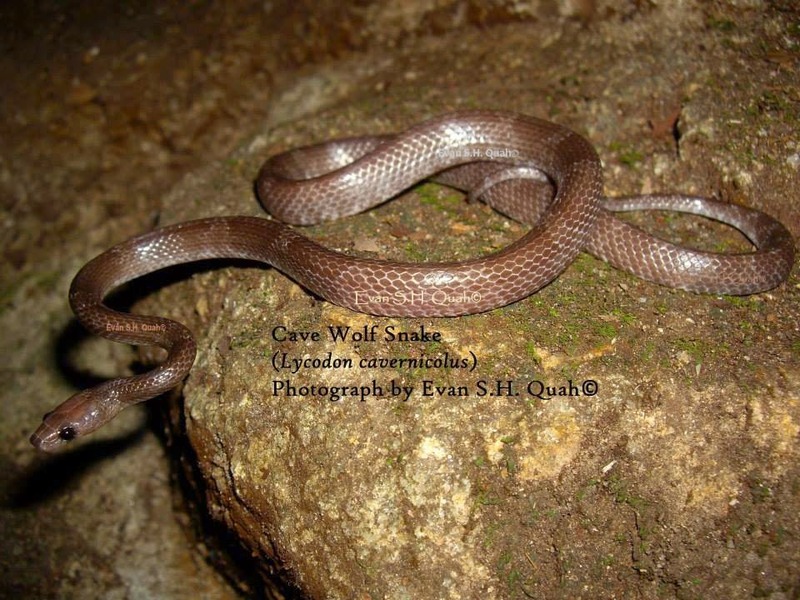 A newly discovered, diminutive, cave-dwelling, lowland species of the colubrid snake genus Lycodon Boie is described from a limestone cave along the Thai-Malaysian border in the state of Perlis, northwestern Peninsular Malaysia. Lycodon cavernicolus sp. nov. is most closely related to L. butleri Boulenger, an endemic, upland, forest-dwelling species from Peninsular Malaysia of the fasciatus group but is separated from L. butleri and all other species of the L. fasciatus group and the closely related L. ruhstrati group by having the combination of 245 (male) and 232 (female) ventral scales; 113 (male) and 92 (female) paired, subcaudal scales; a single precloacal plate; nine or 10 supralabials; 10 or 11 infralabials; a maximum total length of 508 mm (female); a relative tail length of 0.25–0.27; an immaculate venter in juveniles and dark-brown, posterior, ventral scale margins in adults; and dorsal and caudal bands in juveniles white. The discovery of L. cavernicolus sp. 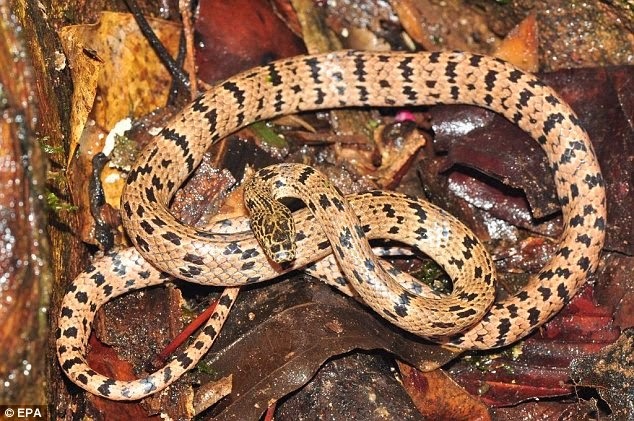 nov. adds to a rapidly growing list of newly discovered reptiles from karst regions and limestone forests of Peninsular Malaysia, underscoring the fact that these areas should be studied before they are quarried as they harbor a significant portion of the Peninsular Malaysia’s herpetological diversity. Etymology. The specific epithet “cavernicolus” is an adjective derived from the Latin caverna meaning “cave” and the Latin cola meaning “dweller of” and refers to this species being a cave-dweller. Natural history. Both the holotype and paratype were found deep within Gua Wang Burma cave in the state of Perlis, northwestern Peninsular Malaysia. ... Other species of amphibians and reptiles observed in the cave or near the cave entrance were the bufonid Phrynoides aspera, the gekkonids Cnemaspis biocellata, Cyrtodactylus astrum, and C. macrotuberculatus and the colubrid Othriophis taeniurus ridleyi. 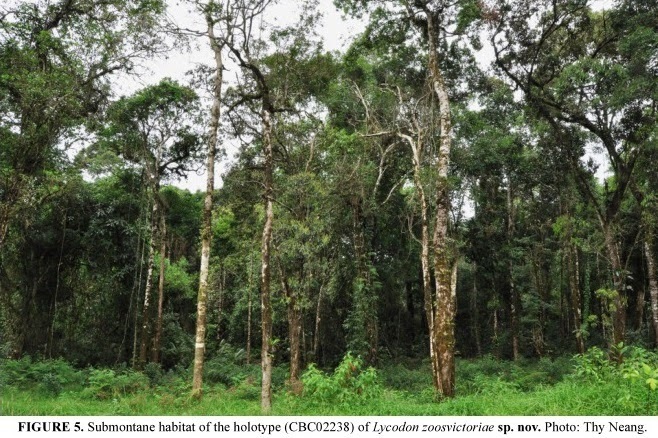 A new species of the genus Lycodon Fitzinger, 1826 is described from the Cardamom Mountains of southwest Cambodia. 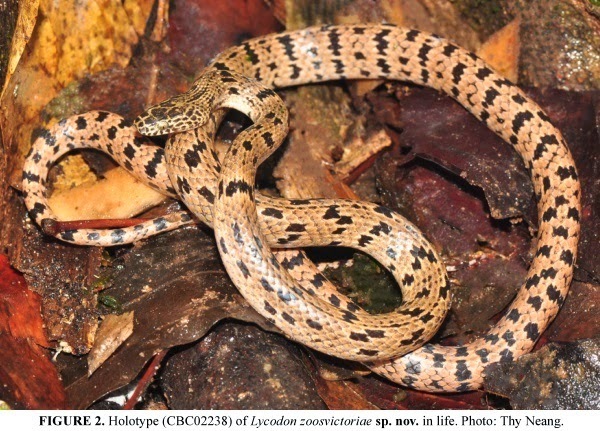 Lycodon zoosvictoriae distinctly differs from all other species of Lycodon in Southeast Asia by a combination of its morphometric characters and unique coloration. The new species has 17 dorsal scales at midbody; 2+2 temporals; 8 supralabials; 10 infralabials; loreal separated from internasal and orbit; 213 ventrals; 85 subcaudals; pale tan brown ground color; irregular dark brown blotches on anterior part, 31 transverse blotches on posterior part of body and 26 blotches on tail. 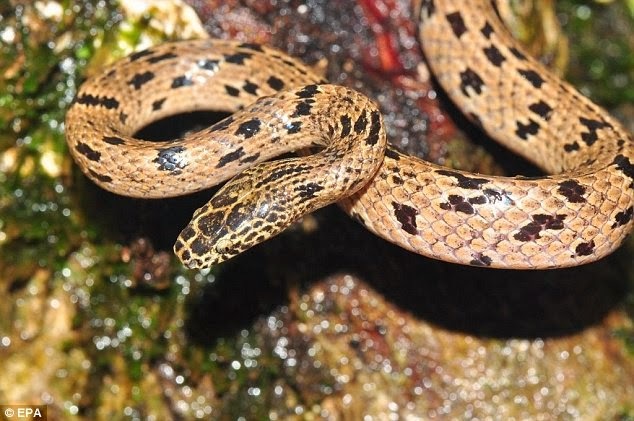 Given its submontane type locality, the new species could prove to be endemic to the Cardamom Mountains of southwestern Cambodia and probably Southeast Thailand. 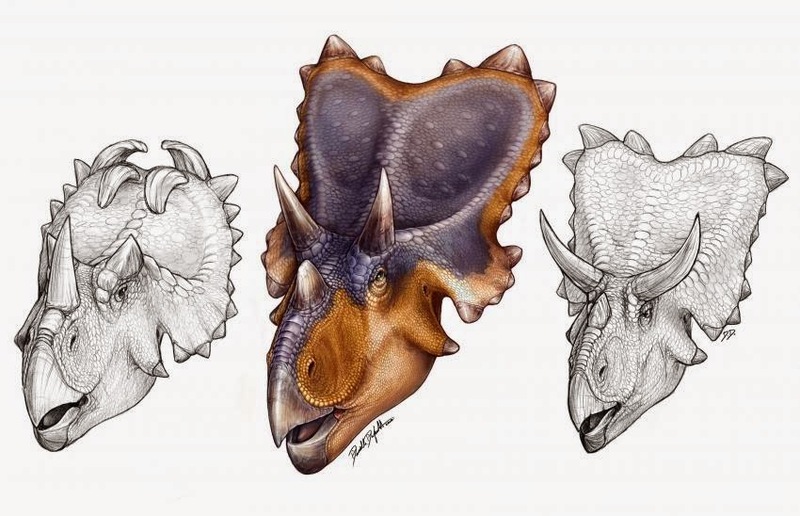 A new taxon of chasmosaurine ceratopsid demonstrates unexpected disparity in parietosquamosal frill shape among ceratopsid dinosaurs early in their evolutionary radiation. 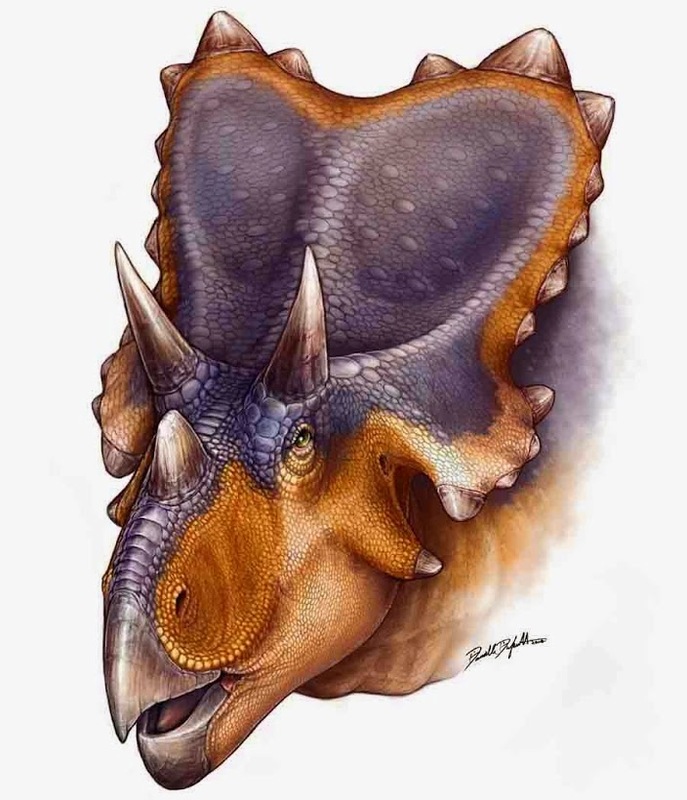 The new taxon is described based on two apomorphic squamosals collected from approximately time equivalent (approximately 77 million years old) sections of the upper Judith River Formation, Montana, and the lower Dinosaur Park Formation of Dinosaur Provincial Park, Alberta. It is referred to Chasmosaurinae based on the inferred elongate morphology. The typical chasmosaurine squamosal forms an obtuse triangle in dorsal view that tapers towards the posterolateral corner of the frill. In the dorsal view of the new taxon, the lateral margin of the squamosal is hatchet-shaped with the posterior portion modified into a constricted narrow bar that would have supported the lateral margin of a robust parietal. The new taxon represents the oldest chasmosaurine from Canada, and the first pre-Maastrichtian ceratopsid to have been collected on both sides of the Canada–US border, with a minimum north–south range of 380 km. This squamosal morphology would have given the frill of the new taxon a unique dorsal profile that represents evolutionary experimentation in frill signalling near the origin of chasmosaurine ceratopsids and reinforces biogeographic differences between northern and southern faunal provinces in the Campanian of North America. The genus Sinopoda Jäger, 1999 is recorded for the first time in Laos. Nine new species are described: Sinopoda steineri spec. nov. (female; Luang Nam Tha), S. tham spec. nov. (male, female; Oudomxai), S. sitkao spec. nov. (female; Luang Prabang), S. taa spec. nov. (female; Luang Prabang), S. suang spec. nov. (female; Huaphan), S. peet spec. nov. (female; Huaphan), S. guap spec. nov. (female; Khammuan), S. soong spec. 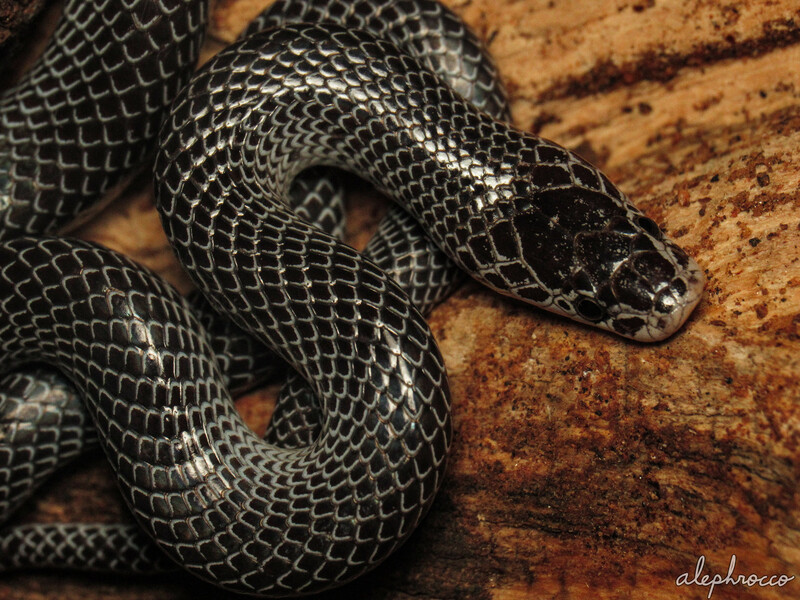 nov. (female; Khammuan), S. scurion spec. nov. (female; Khammuan). All species have been collected from caves. Sinopoda scurion spec. 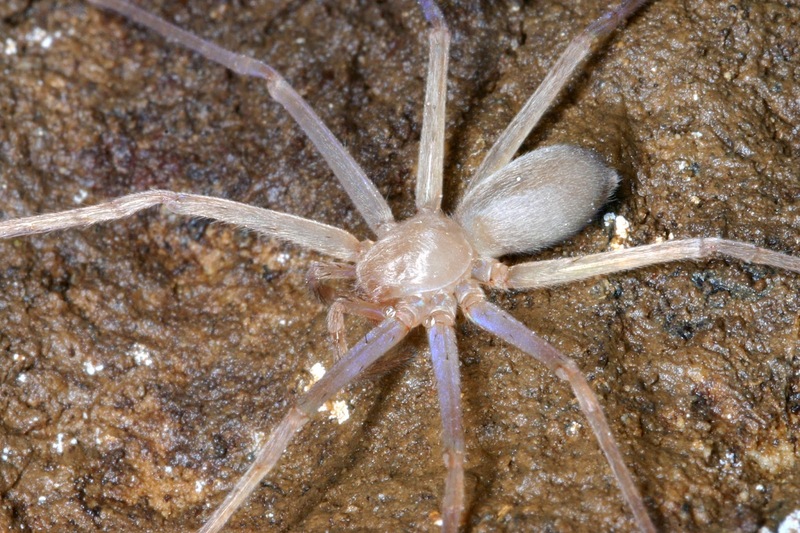 nov. represents the first record of an eyeless huntsman spider, S. guap spec. nov. exhibits only small lenses of six eyes (AME lacking), S. soong spec. nov. has only two small eye lenses. Four immature individuals (Sinopoda sp. indet. A–D) exhibited a reduced size or number of eyes, they are listed including their localities although they could not be identified to species level. 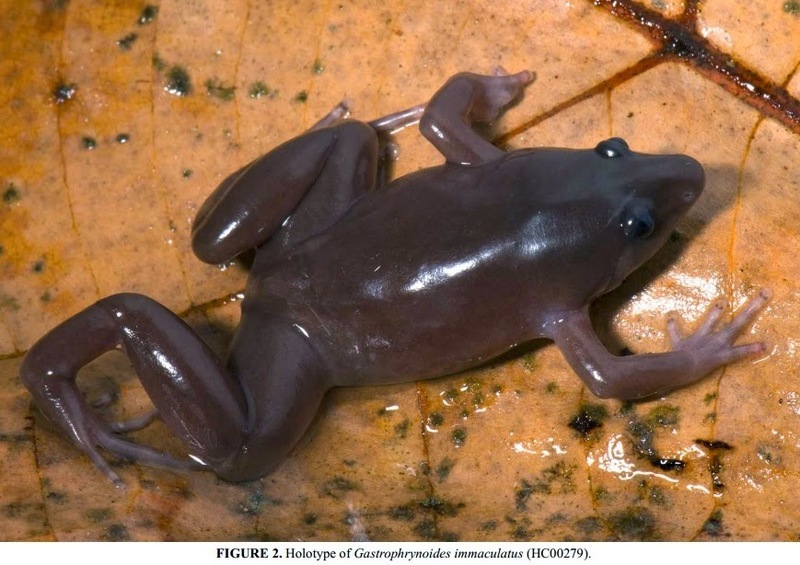 A new species of the gekkonid genus Cnemaspis is described from the lateritic plateau of the northern Western Ghats of Maharashtra, western India. The new species is diagnosed by the following suite of characters: small sized Cnemaspis, SVL less than 35 mm (21.52–33.65). Dorsal scales on trunk heterogeneous, granular scales intermixed with large smooth scales and large keeled conical tubercles. Spine-like tubercles absent on flank. 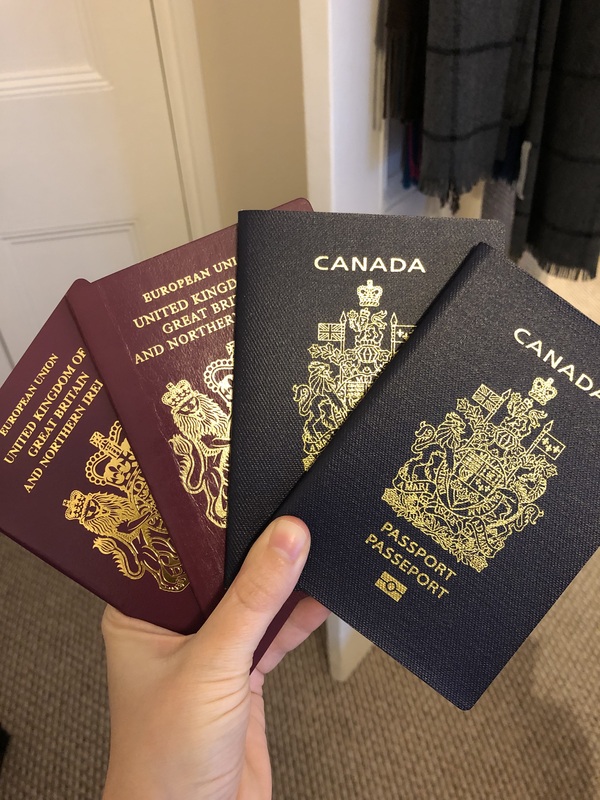 Two pairs of postmentals, inner postmentals separated by a single enlarged chin shield. Ventral scales on trunk smooth, imbricate, 26–28 scales across the belly between the lowest rows of dorsal scales. Subdigital scansors smooth, entire, unnotched; lamellae under digit IV of pes 17-20.Males with four femoral pores on each thigh and lacking pre-cloacal pores. Median row of sub-caudals smooth, imbricate and not enlarged. The present discovery highlights the need for dedicated herpetofaunal explorations in the northern Western Ghats to ascertain the exact diversity and distribution of Cnemaspis in India to elucidate the apparent disjunct distribution of the genus in the country. 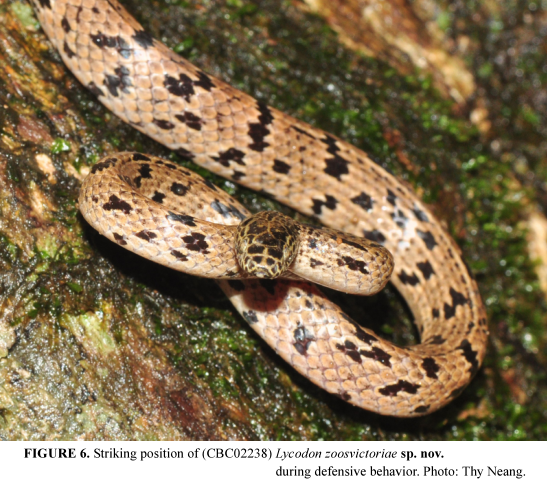 Etymology: The specific epithet is a patronym, honouring Dr. Varad Giri of Bombay Natural History Society for his immense contribution to Indian herpetology and continued support to the authors. Mirza, Zeeshan A., Saunak Pal, Harshal Bhosale & Rajesh V. Sanap. 2014. 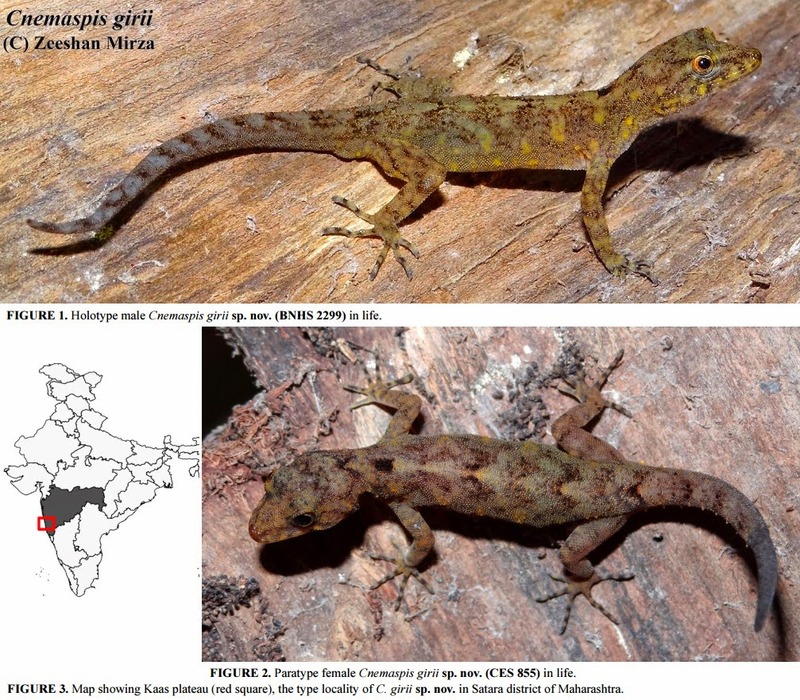 A New Species of Gecko of the Genus Cnemaspis Strauch, 1887 from the Western Ghats, India. Zootaxa. 3815(4): 494–506. FIGURE 4. Type specimen of Waiomys mamasae (NMV C37027/MZB 37000) in the field prior to preparation showing (a) specimen in live pose, (b) distal third of tail, (c) right plantar surface. 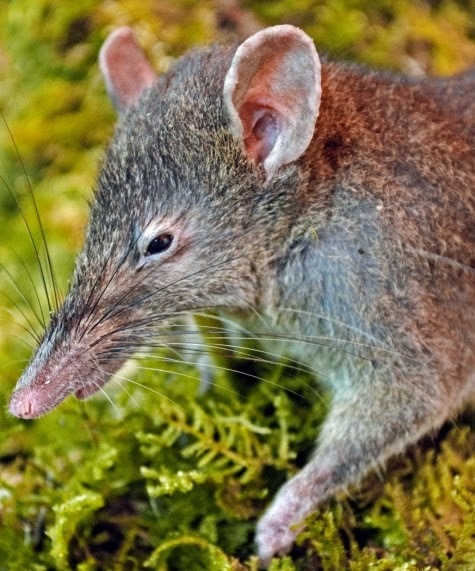 areas of Sulawesi have not been surveyed systematically and current lists of mammal species are likely to dramatically underestimate actual diversity. Type species. Waiomys mamasae, the new species described below. Etymology. The generic name combines the Mamasa Toraja (Gordon 2005) word ‘wai’ (water; pronounced ‘why’) with the Greek ‘mys’ (mouse) in reference to the semi-aquatic lifestyle of the animal and in recognition of the local Mamasan people who call the animal ‘water rat’ in their language, Mamasa Toraja. Type locality. Mount Gandangdewata, Rantepangko, Mamasa, Sulawesi Barat, Indonesia (Figure 1). Distribution. Waiomys is known only from the type locality in lower montane rainforest of the Quarles Range of the western Sulawesi highlands. Diagnosis. 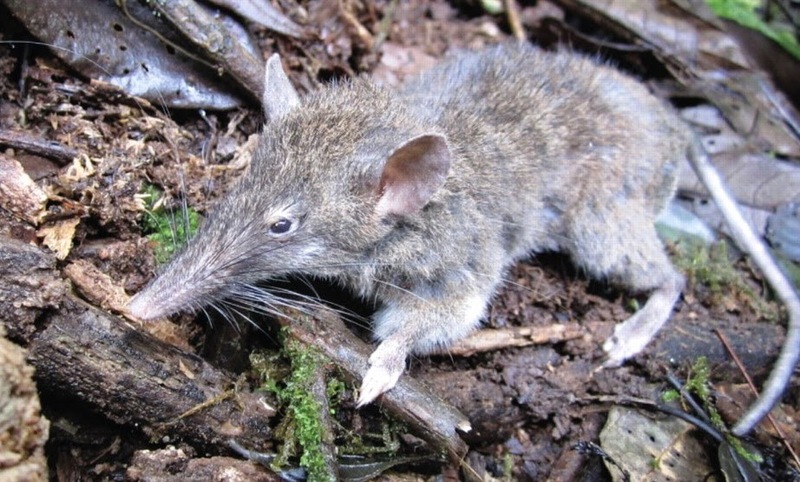 mamasae is the only known species in the genus Waiomys. Thus, generic and specific diagnoses are the same. Etymology. The specific epiphet mamasae refers to the type locality, which is near the town of Mamasa. The local people who collected the type specimen and who had existing knowledge of the species, self-identify as Mamasan. Thus, the epithet also recognizes their knowledge and contribution to the scientific discovery of the species. Rodents are important ecological components of virtually every terrestrial ecosystem. Their success is a result of their gnawing incisors, battery of grinding molars and diastema that spatially and functionally separates the incisors from the molars. Until now these traits defined all rodents. 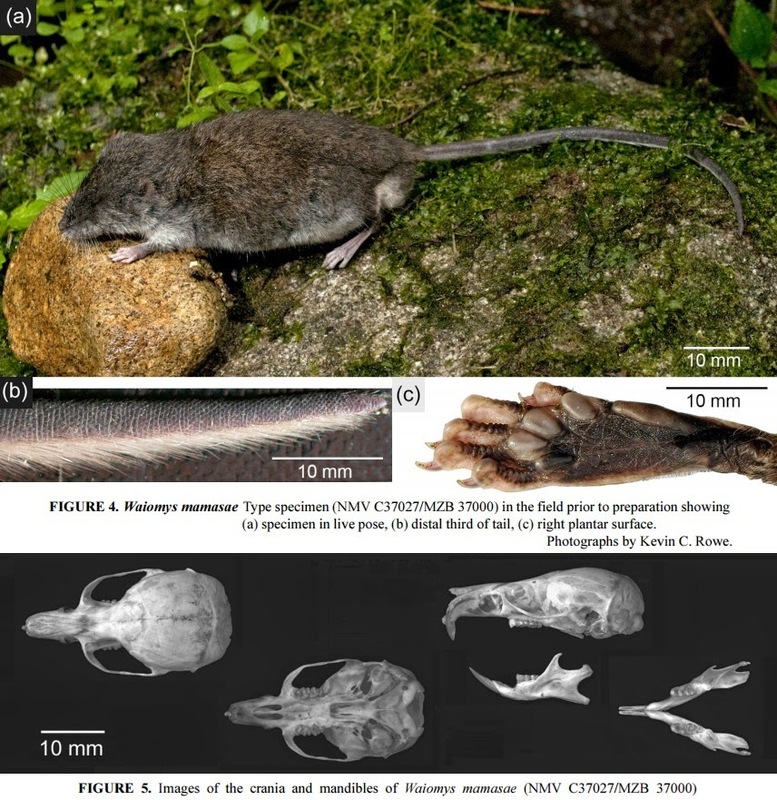 Here, we describe a new species and genus of shrew-rat from Sulawesi Island, Indonesia that is distinguished from all other rodents by the absence of cheek teeth. Moreover, rather than gnawing incisors, this animal has bicuspid upper incisors, also unique among the more than 2200 species of rodents. Stomach contents from a single specimen suggest that the species consumes only earthworms. 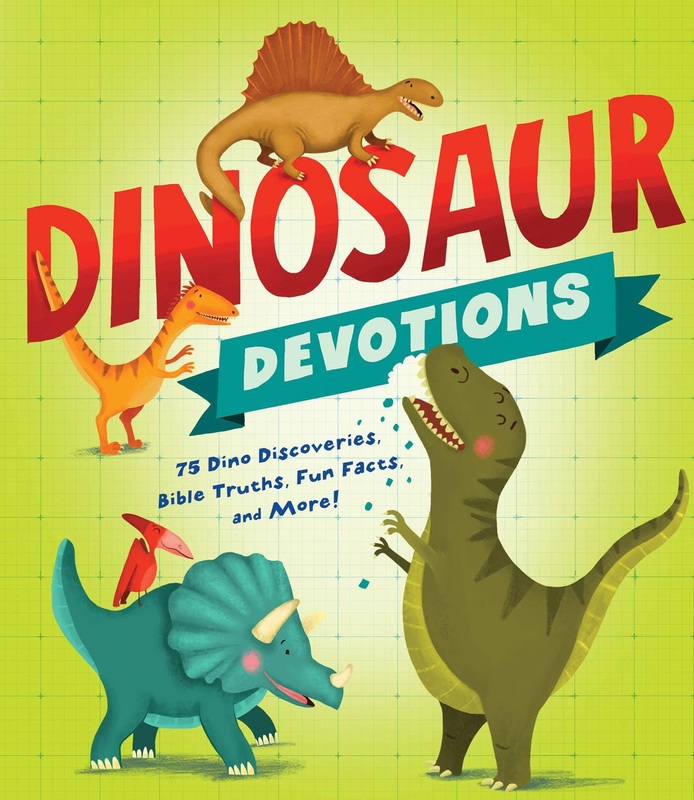 We posit that by specializing on soft-bodied prey, this species has had no need to process food by chewing, allowing its dentition to evolve for the sole purpose of procuring food. Thus, the removal of functional constraints, often considered a source of evolutionary innovations, may also lead to the loss of the very same traits that fuelled evolutionary diversification in the past. 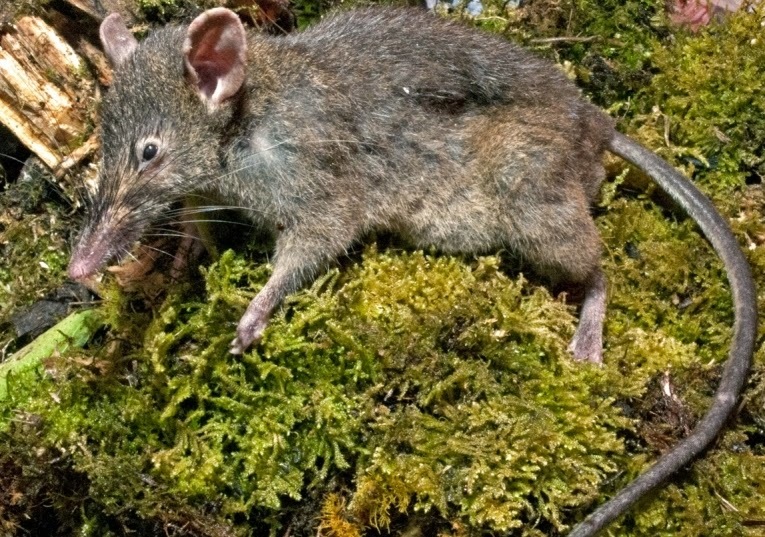 Distribution: Paucidentomys is known only from montane forest on Mount Latimojong and the transition between lowland and montane forest on Mount Gandangdewata, but probably occurs more broadly in mid- to high- elevation areas. The species may be endemic to the southwestern mountains of central Sulawesi. Etymology: The generic name combines the Latin ‘paucus’ (few) with ‘dentis’ (tooth) and the Greek ‘mys’ (mouse) in reference to the lack of molars. The epithet is a hybrid of ‘vermi’ (worm) and ‘edax’ (devourer), in reference to the animal’s diet. 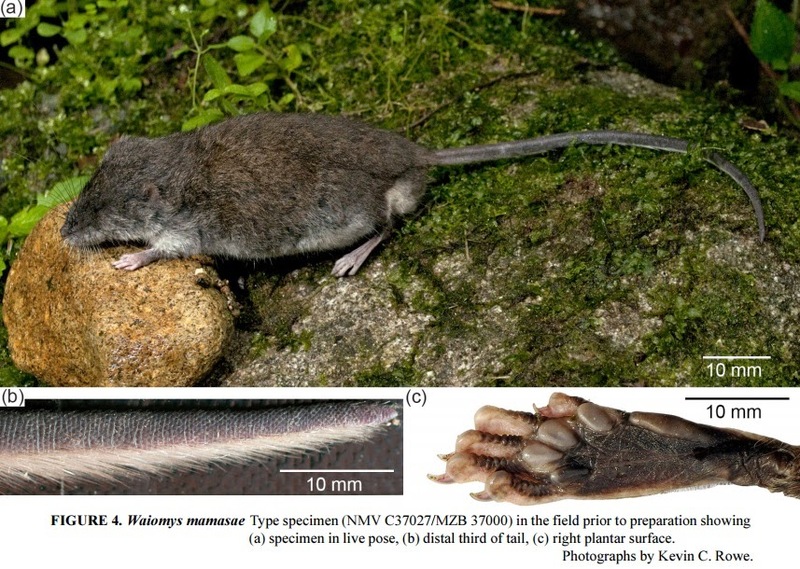 "worm-eating few-toothed mouse"
Ecology: The stomach of MZB 35001 was distended by segments of earthworms, each 5–10 mm long. No other contents were found. Paucidentomys probably eats only soft animal tissues and perhaps only earthworms. The incisors probably serve to cut or tear earthworms into segments before they are swallowed. Paucidentomys is probably a terrestrial (i.e. not scansorial or arboreal) earthworm specialist restricted to moist forests above ca 1500 m.